AUSTIN, TX--(Marketwired - November 07, 2016) - BigLever Software, the long-standing leader in the Product Line Engineering (PLE) field, today introduced onePLE -- a holistic solution that enables organizations to achieve competitive advantage by freeing up more time for product innovation and rapidly sharing those innovations across a product line portfolio. PLE is a leading-edge approach that removes engineering complexity and streamlines the creation, delivery and evolution of a product line. With onePLE, BigLever is combining its state-of-the-art PLE technology and methods with the business strategy and organizational change needed to accelerate PLE adoption -- allowing companies to use PLE to create and bring more product innovations to market faster, more efficiently, and more competitively. "Organizations are being pushed to the edge of their capability by the exponentially growing complexity of today's products and how they are engineered," said Dr. Charles Krueger, BigLever Software CEO. "As engineering teams are increasingly consumed by the mundane tasks of managing this complexity, the opportunity for creating and fully leveraging new product innovations is often lost. PLE is a breakthrough engineering practice that removes this complexity barrier to spur innovation, and onePLE is a holistic solution that removes the barriers to rapid PLE adoption. With onePLE, we are introducing the industry's only holistic, proven PLE solution. It's based on BigLever's 15 years of experience in helping some of the world's largest forward-thinking companies transition to and operate a game-changing PLE practice -- which becomes their competitive advantage." "PLE isn't just technological progression but is business transformative. onePLE engages with executive leadership to enable an organization to define and execute on the key business drivers behind PLE," said Michael Azoff, Principal Analyst, Ovum. The underpinning of BigLever's PLE approach is the creation of a "PLE Factory," which is much like a typical manufacturing factory except that it operates on digital assets rather than physical parts. PLE allows an organization to create a "superset" supply chain of digital assets that can be shared across the entire product line. These digital assets are equipped with all the feature options offered in the product line. The PLE Factory is an automated production system that assembles and configures these shared digital assets based on the features that are selected for each product variation. With this approach, new product innovations can be incorporated into the asset superset, and more easily and rapidly shared across all the products in the product line portfolio. 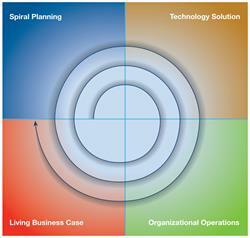 The technology foundation for the PLE Factory is BigLever's industry-standard Gears PLE Lifecycle Framework. BigLever's onePLE solution is specifically designed to address the challenges of moving an organization to the PLE Factory paradigm and accelerating this transition. Companies often encounter significant obstacles when they view PLE as a technology approach or engineering-only solution, rather than a business strategy driven by executive leadership. onePLE allows a company's leadership to define one organization-wide product line vision, and provides one unified approach for the organization to adopt and execute on that vision. Technology: This area focuses on establishing the technology infrastructure for the PLE Factory. A "feature catalog" is created, which defines the feature options for all the products in the product line. Feature options are then incorporated into the superset of digital assets. These feature-equipped assets are moved into the PLE Factory where they are used to automatically produce the products, based on the features selected. Organization: This area addresses people and processes -- defining roles and responsibilities, setting factory-based processes, and getting management and staff trained to operate in the PLE Factory. Using proven organizational change methods, an incremental adoption strategy and plan are tailored based on the organization's goals, situation and needs. The adoption plan is designed to empower broad-based action and achieve short-term wins. With the PLE Factory, companies have one unified feature-based approach across engineering and operations disciplines; software, electrical, and mechanical domains; and tool ecosystems. This not only removes the engineering complexity that can inhibit new product innovation, it also breaks down organizational silos and enhances collaboration so this innovation can be used to the company's full competitive advantage. 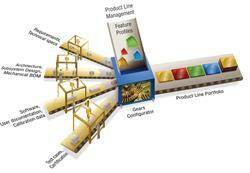 BigLever Software is the long-standing leader in the Product Line Engineering (PLE) field. BigLever's holistic onePLE solution delivers the leading-edge technology, proven methodology, business strategy and organizational change expertise needed to efficiently transition to and operate a game-changing PLE practice. The company's state-of-the-art PLE methods and tools provide one unified, automated approach for feature-based variant management. This approach extends across the full lifecycle, including engineering and operations disciplines; software, electrical, and mechanical domains; and tool ecosystem. Some of the world's largest forward-thinking organizations across a spectrum of industries are leveraging BigLever's PLE solution to engineer their competitive advantage through order-of-magnitude improvements in productivity, time-to-market, portfolio scalability, and product quality. BigLever is based in Austin, Texas. For more information, visit www.biglever.com. Join the discussion with BigLever on Twitter, LinkedIn. BigLever Software Gears, Gears Product Line Engineering Lifecycle Framework and onePLE are trademarks of BigLever Software, Inc.
About this company BigLever Software, Inc. The underpinning of BigLever's PLE approach is the creation of a "PLE Factory," which is much like a typical manufacturing factory except that it operates on digital assets rather than physical parts. These digital assets are equipped with all the feature options offered in the product line. The PLE Factory is an automated production system that assembles and configures these shared digital assets based on the features that are selected for each product variation. With this approach, new product innovations can be incorporated into the asset superset, and more easily and rapidly shared across all the products in the product line portfolio. 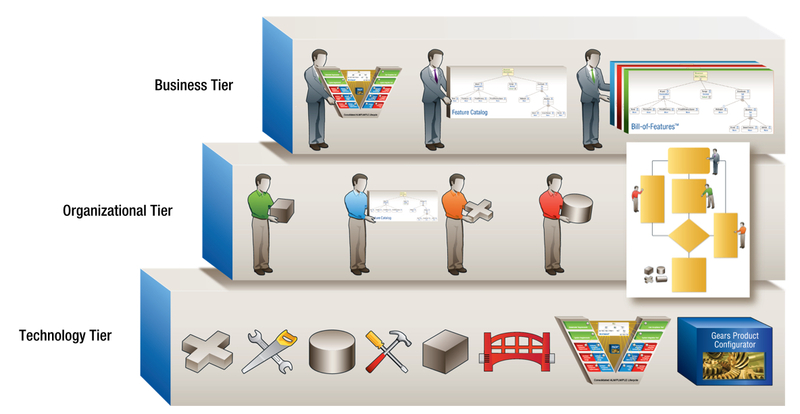 BigLever's 3-Tiered PLE Methodology provides a pragmatic tiered approach that allows organizations to utilize feature-based methods to manage product diversity and asset variation in an automated production system, capable of producing all "flavors" of the products in a product line with the touch of a single button. 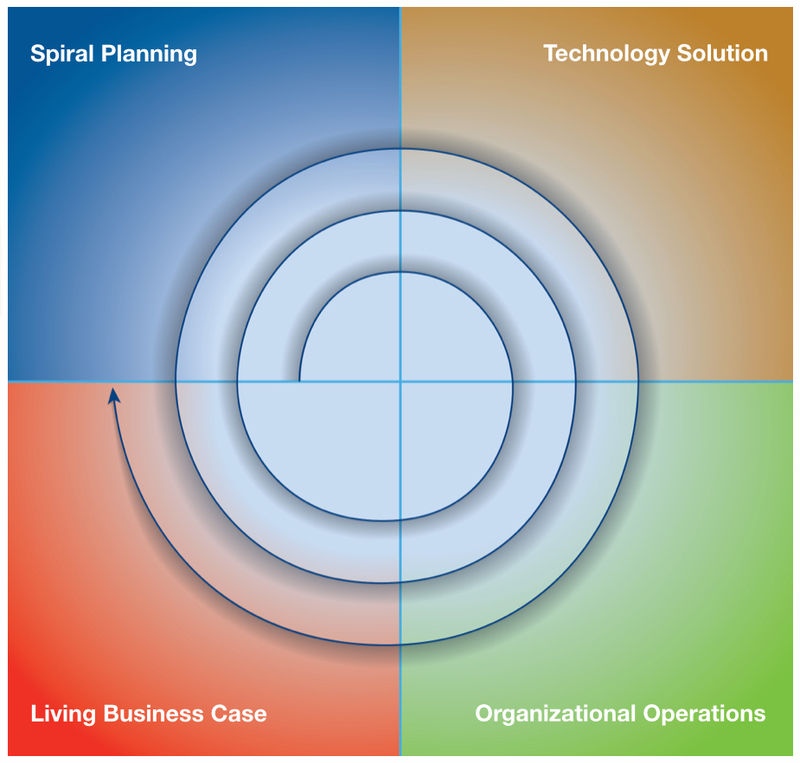 BigLever's Spiral Model for Organizational PLE Adoption allows an organization to establish its PLE Factory incrementally - realizing new capabilities and gains at each step without disrupting the day-to-day production of the product line.